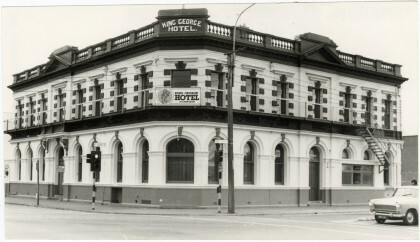 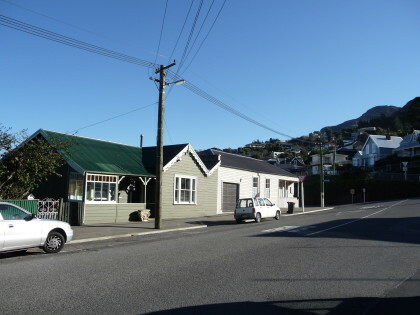 Corner of Winchester Street and Dublin Street. 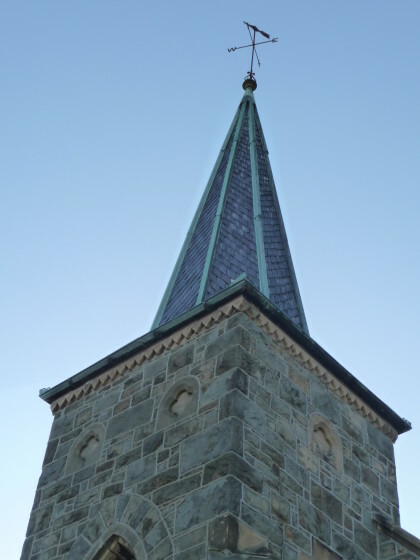 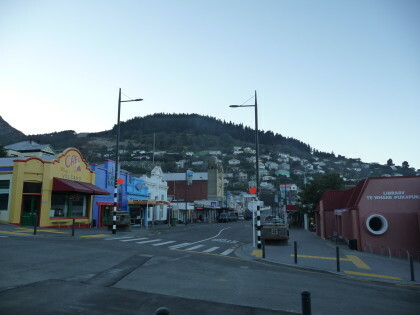 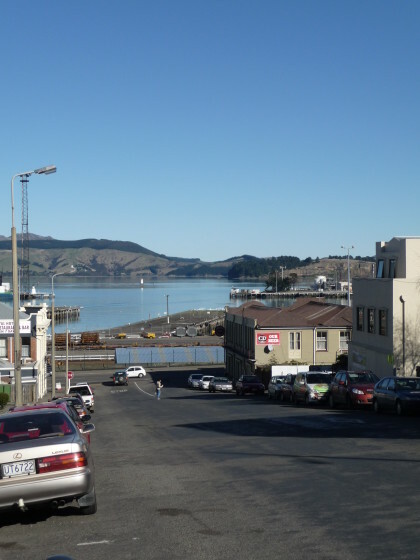 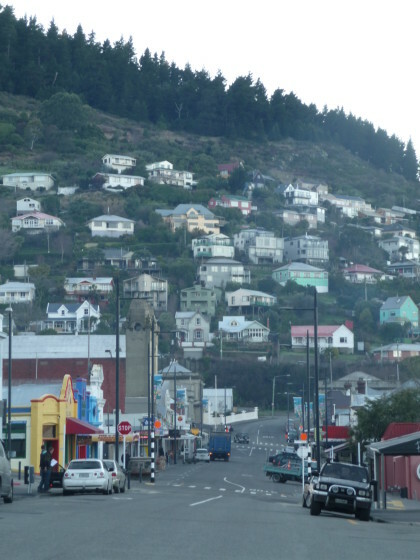 Spire of St John's church, Lyttelton. 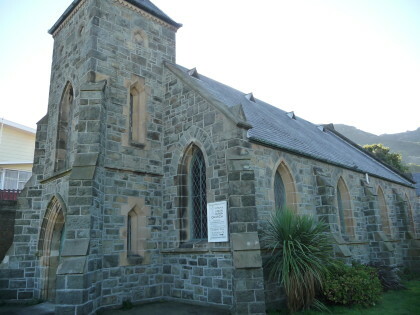 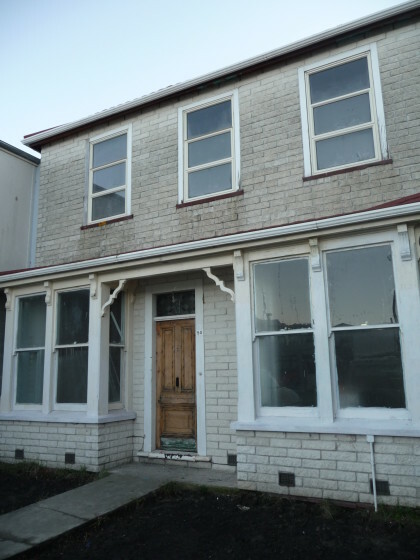 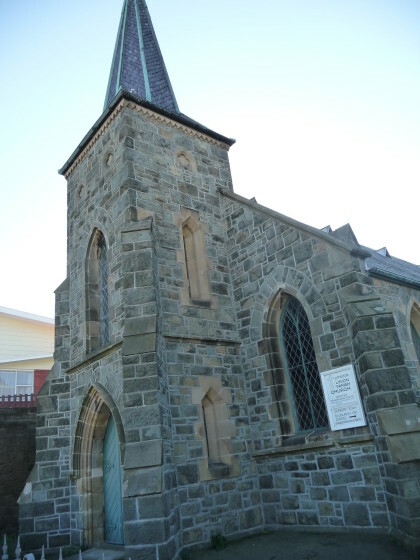 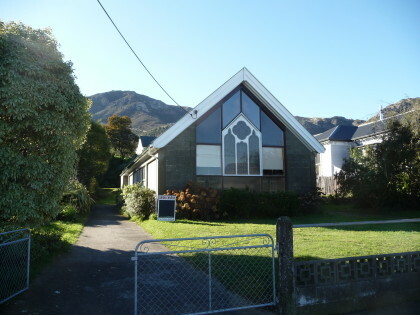 St John's church, 44 Winchester Street, Lyttelton. 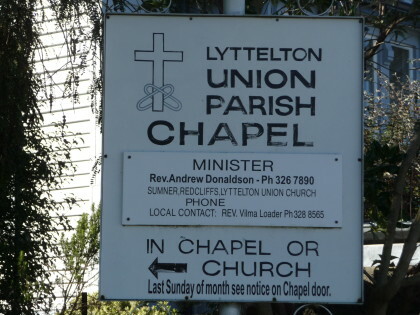 Sign for Lyttelton Union Parish Chapel, 40 Winchester Street. 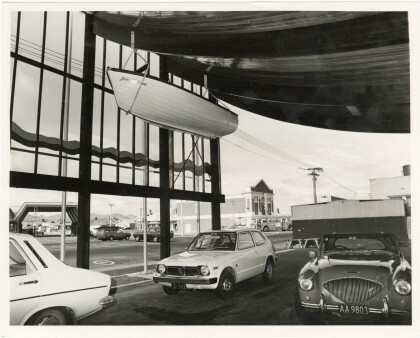 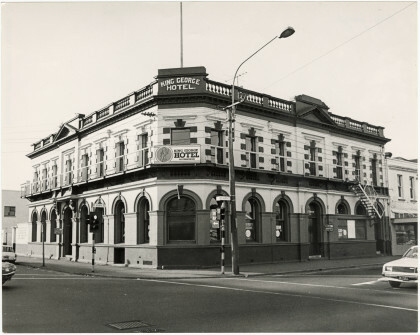 Corner of London Street and Canterbury Street looking east. 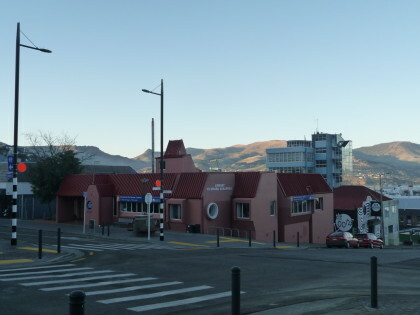 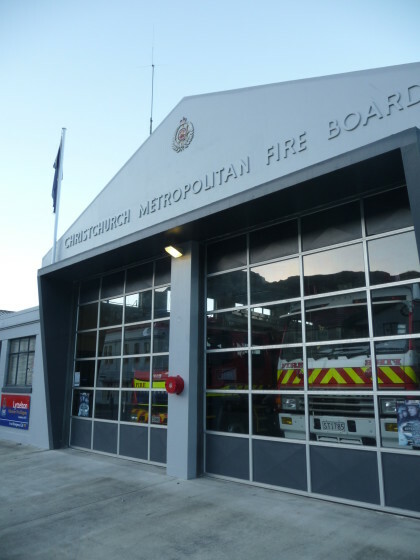 Lyttelton fire station at 57 London Street. 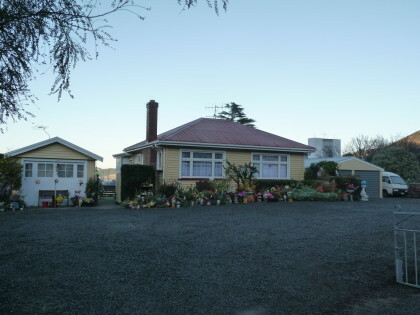 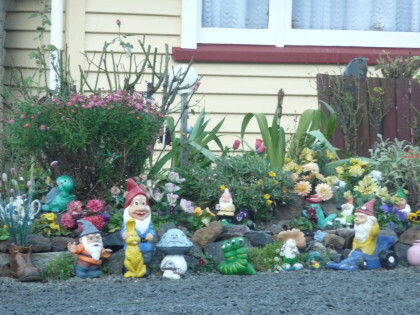 Gnomes in the garden of 63 London Street. 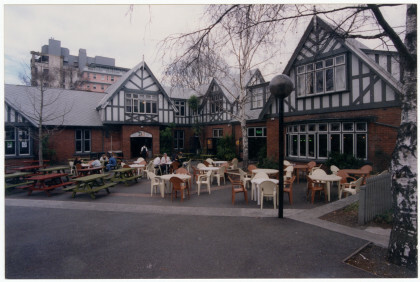 Exterior of 63 London Street. 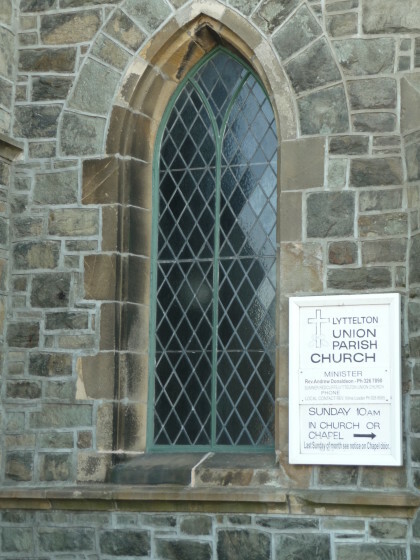 Streetfront façade of 50 London Street. 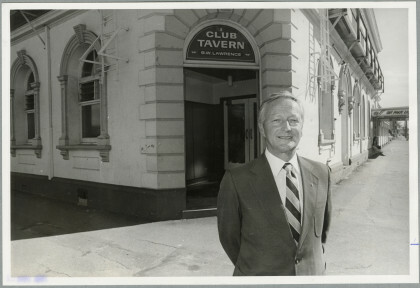 Bernie Lawrence outside the Club Tavern in Sydenham. 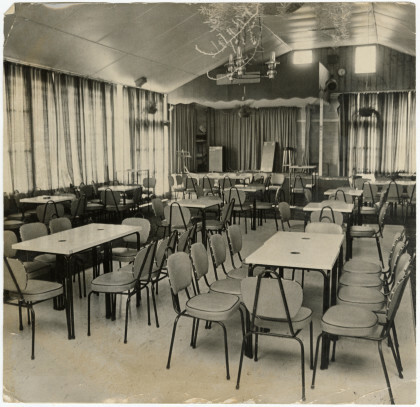 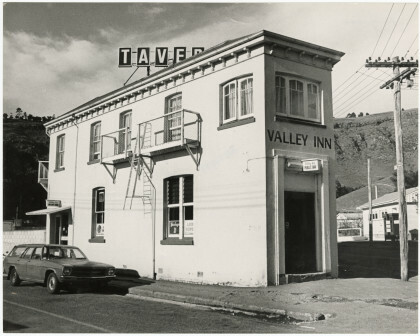 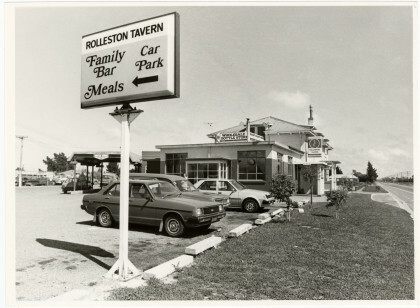 The Rolleston Tavern, Main South Road.